M. Zakiya, S., A. Roces, S., P. Dugos, N., Angelo B. Promentilla, M., Shioji, M. (2014). Emissions and Performance of Diesel Engine Fueled with Waste Cooking Oil Methyl Ester Diesel Blends. Iranian Journal of Energy and Environment; previously called: Iranica Journal of Energy & Environment, 5(1), -. Sheila M. Zakiya; Susan A. Roces; Nathaniel P. Dugos; Michael Angelo B. Promentilla; Masahiro Shioji. "Emissions and Performance of Diesel Engine Fueled with Waste Cooking Oil Methyl Ester Diesel Blends". Iranian Journal of Energy and Environment; previously called: Iranica Journal of Energy & Environment, 5, 1, 2014, -. M. Zakiya, S., A. Roces, S., P. Dugos, N., Angelo B. Promentilla, M., Shioji, M. (2014). 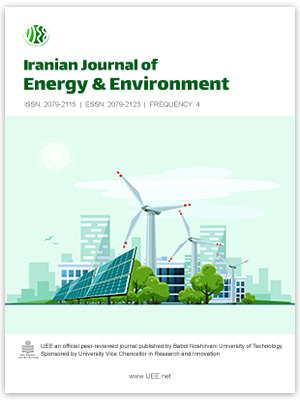 'Emissions and Performance of Diesel Engine Fueled with Waste Cooking Oil Methyl Ester Diesel Blends', Iranian Journal of Energy and Environment; previously called: Iranica Journal of Energy & Environment, 5(1), pp. -. M. Zakiya, S., A. Roces, S., P. Dugos, N., Angelo B. Promentilla, M., Shioji, M. Emissions and Performance of Diesel Engine Fueled with Waste Cooking Oil Methyl Ester Diesel Blends. Iranian Journal of Energy and Environment; previously called: Iranica Journal of Energy & Environment, 2014; 5(1): -.